I nearly missed these beauties during last week’s visit to Harlow Carr. The first is a very neat hybrid with an even coverage of dark purple spots against a lighter background. …cos I’m sure they’re gonna get you, yeah. You’re not sure what that refers to, perhaps? That bit of punk pop rock fluff from the 20th century passed you by, even though it’s reputed to have been voted the nation’s seventh favourite lyric of all time in a 1999 BBC poll? Lucky you have me, then. You do recall this is the same nation that overwhelmingly voted for Boaty McBoatface as the name of our spanking new polar research vessel (and still imagines more popular votes might be helpful)? 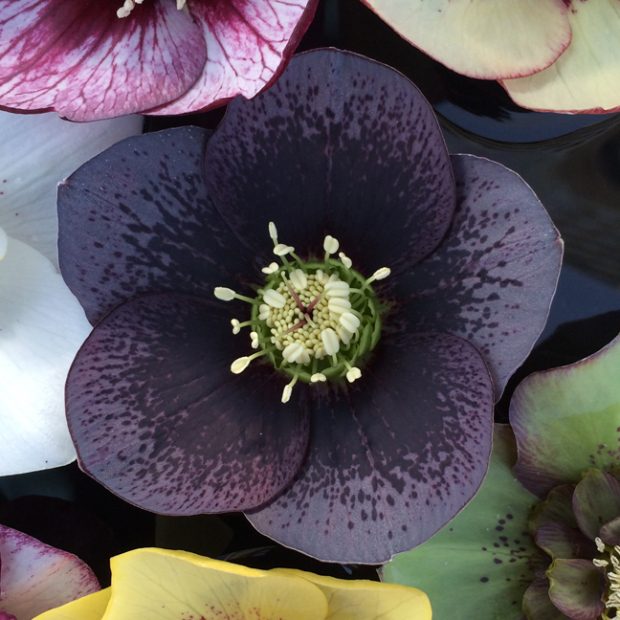 If I was asked for one word to describe the character of hellebores, it would be demure. That shows the dangers of generalising. 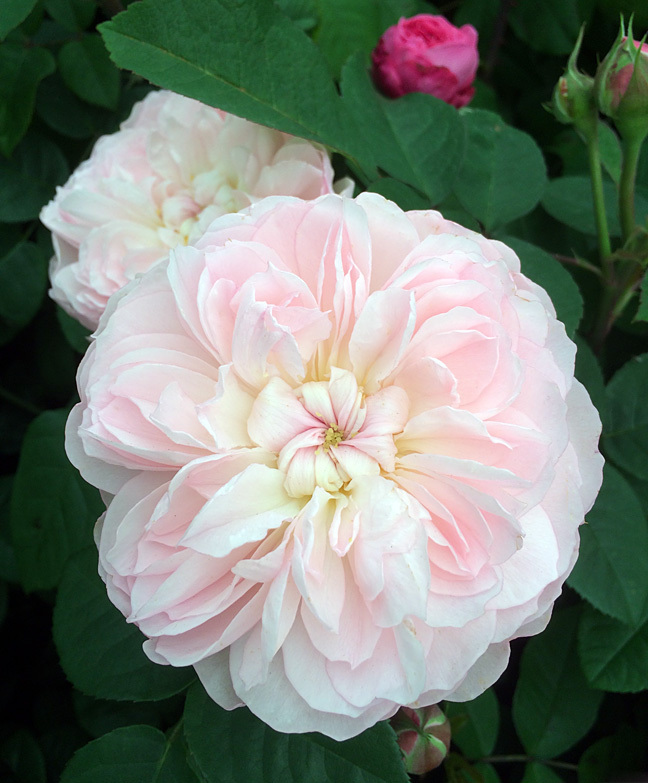 These beautifully spotted, double blooms look like something out of musical theatre. I can’t help wondering what they are whispering about. Fear of slugs? The shipping forecast? The best hairdresser in the county – should that be petaldresser? 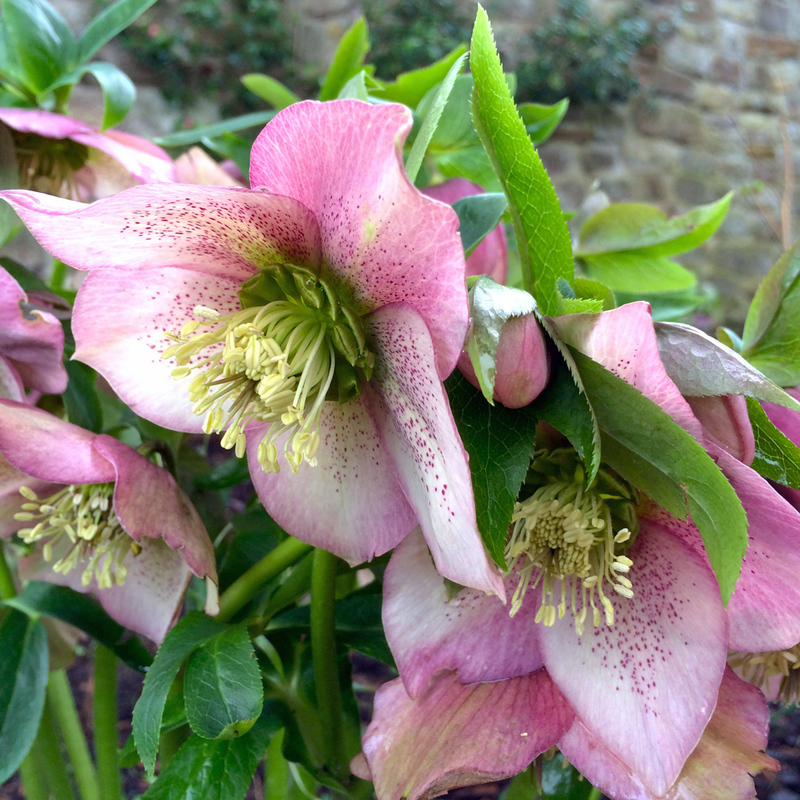 For those hoping for something a bit more botanical, these are Helleborus x hybridus (Ashwood Garden Hybrids). I promised to share more pictures from my most recent visit to Gresgarth Hall – here they are. 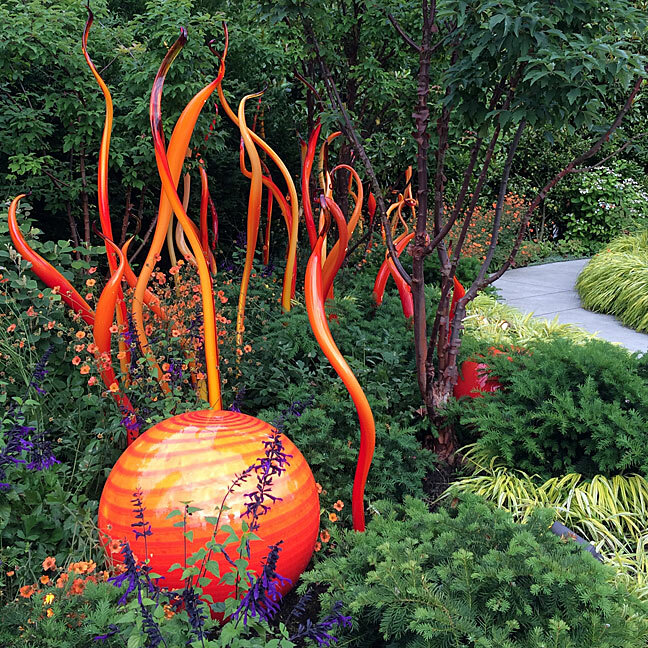 I’ve tried to give you a quick private tour of this lovely winter garden. 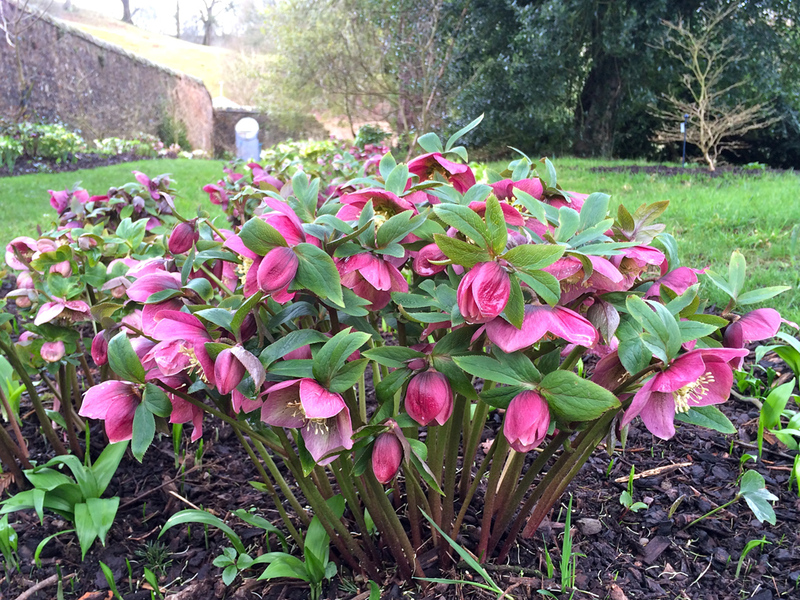 It’s not often I’ve had the chance to see so many mature hellebores flowering. I wanted to try to capture a different impression of these generous plants than a picture of just one single flower can convey.